When seeing a yellow websocket error, this means that you might have too rigid of firewall settings, or are missing a websocket connection. Once you've checked your firewall settings, go back to GitHub and click on the Settings menu for the repository where the error is occurring. Once in Settings, click into Webhooks on the left navigation. 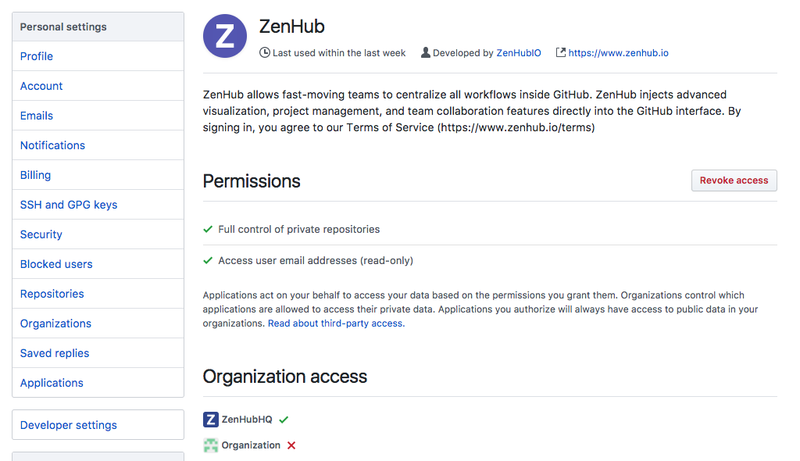 If you don't see a URL with a ZenHub webhook, get in touch with us and we'll reset your webhooks. Check the OAuth settings for your organization in the GitHub profile settings. Once in Settings, head to Applications > Authorized OAuth apps . 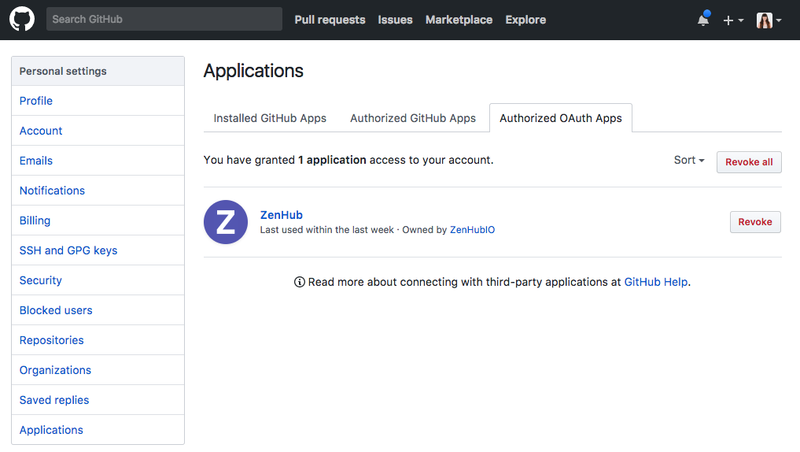 If you click on the ZenHub title under the list of applications, it will display all authorized organizations connected to ZenHub.